Effect of Placenta-Derived Mesenchymal Stem Cells in a Dementia Rat Model via Microglial Mediation: a Comparison between Stem Cell Transplant Methods. Cho JS, et al. Yonsei Med J 59: (3):406-415, 2018. Intracerebroventricular Administration of 192IgG-Saporin Alters Expression of Microglia-Associated Genes in the Dorsal But Not Ventral Hippocampus. Dobryakova YV, et al. Front Mol Neurosci 10: (Article 429), 2018. Lacrimal Gland Denervation Alters Tear Protein Composition and Impairs Ipsilateral Eye Closures and Corneal Nociception. Hegarty DM, et al. Invest Ophthalmol Vis Sci 59: (12):5217-5224, 2018. Neuronal Activity-Dependent Control of Postnatal Neurogenesis and Gliogenesis. Káradóttir RT, et al. Annu Rev Neurosci 41: 139-161, 2018. Impact of Chronic Stress on the Spatial Learning and GR-PKAc-NF-κB Signaling in the Hippocampus and Cortex in Rats Following Cholinergic Depletion. Lee S-Y, et al. Mol Neurobiol 55: (5):3976-3989, 2018. Cholinergic basal forebrain structures are not essential for mediation of the arousing action of glutamate. Lelkes Z, et al. J Sleep Res 27: (4):e12605, 2-18. Effects of Cholinergic Lesions and Cholinesterase Inhibitors on Aromatase and Estrogen Receptor Expression in Different Regions of the Rat Brain. Li J, et al. Neurosci 384: 203-213, 20183. Cholinergic modulation of frontoparietal cortical network dynamics supporting supramodal attention. Ljubojevic V, et al. J Neurosci 38: (16):3988-4005, 2-18. The hot ‘n’ cold of cue-induced drug relapse. Pitchers KK, et al. Learn Mem 25: (9):474-480, 2018. The role of the supramammillary area of the hypothalamus in cognitive functions. Shim HS, et al. Anim Cells Sys 22: (1):37-44. Disruption of medial septum and diagonal bands of Broca cholinergic projections to the ventral hippocampus disrupt auditory fear memory. Staib JM, et al. 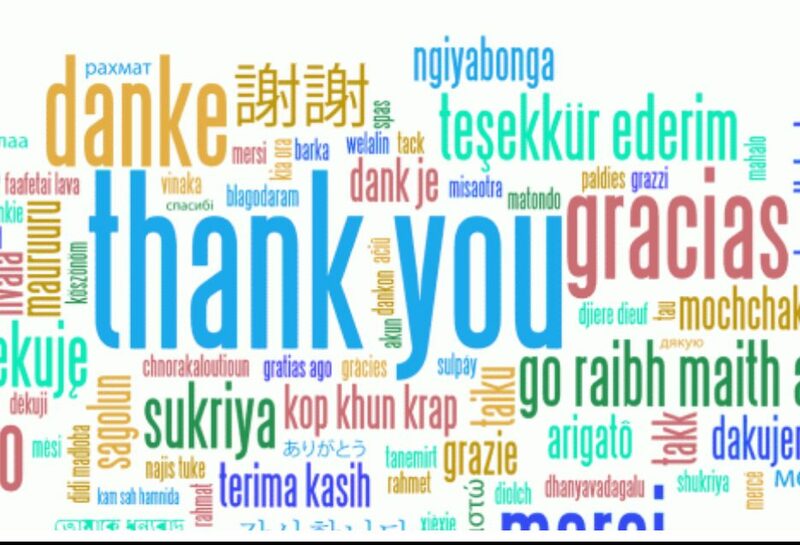 Neurobiol Learning Memory 152: 71-79, 2018. Ontogenetic and Phylogenetic Approaches for Studying the Mechanisms of Cognitive Dysfunctions. Zhuravin IA, et al. Evolutionary Physiology and Biochemistry, 2018. Cholinergic modulation of spatial learning, memory and navigation. Solari N, et al. Eur J Neurosci 48: (5):2199-2230, 2018. Mo1548 – How Does the Extrinsic Nervous System (ENS) Connect with the Intrinsic Nervous System (INS) of the Esophagus and Stomach?Jiang Y, et al. Gastroenterology 154: (6, Supplement 1):S-748-S-749, 2018. Modelling the dopamine and noradrenergic cell loss that occurs in Parkinson’s disease and the impact on hippocampal neurogenesis. Ermine CM, et al. Hippocampus 28: (5):327-337, 2018. Noradrenergic Hypothesis Linking Neurodegeneration-Based Cognitive Decline and Astroglia. Leanza G, et al. Front Mol Neurosci 11: 254, 2018. Brainstem catecholaminergic neurones and breathing control during postnatal development in male and female rats. Patrone LGA, et al. J Physiol 596: (15):3299-3325, 2018. Essential role of hippocampal noradrenaline in the regulation of spatial working memory and TDP‐43 tissue pathology. Pintus R, et al. J Comp Neurol 526: (7):1131-1147, 2018. Why I can’t say “no” to hindbrain catecholamine neurons. Ritter S. Appetite 126: 210, 2018. Mo1545 – Vagal Nerve Modulates the Effects of Esophageal Acid on the Periaqueductal Gray Functional Connectivity in a Rat Model. Sanvanson P, et al. Gastroenterology 154: (6, Supplement 1):S-747-S-748, 2018. Mo1547 – Enriched Environment Housing Alleviates Post-Colitis Pain, Visceral Hypersensitivity and Mood Disorders in Rats. Winston J. Gastroenterology 154: (6, Supplement 1):S-748, 2018. Mo1546 – Neonatal Colon Inflammation-Induced Increases in Pituitary Adenylate Cyclase Activating Peptide Expression in the Parabrachial Nucleus Contributes to Reduced Meal Consumption, to Increased Meal-Induced Aversive and Anxiety-Like Behaviors in Adult Rats. Winston J. Gastroenterology 154: (6, Supplement 1):S-748, 2018. Catecholaminergic Projections into an Interconnected Forebrain Network Control the Sensitivity of Male Rats to Diet-Induced Obesity. Lee SJ, et al. Am J Physiol Regul Integr Comp Physiol 314: (6):R811-R823, 2018. Involvement of median preoptic nucleus and medullary noradrenergic neurons in cardiovascular and sympathetic responses of hemorrhagic rats. Naves LM, et al. Sci Rep 8: (1):11276, 2018. The Critical Role of IL-10 in the Antineuroinflammatory and Antioxidative Effects of Rheum tanguticum on Activated Microglia. Meng J, et al. Oxid Med Cell Longev (Article ID 1083596):12, 2018. Targeting macrophage and microglia activation with colony stimulating factor 1 receptor inhibitor is an effective strategy to treat injury-triggered neuropathic pain. Lee S, et al. Mol Pain 14: 1-12, 2018. Summary: Depletion of spinal microglia with Mac-1-SAP was able to prevent and reverse neuropathic pain behavior. Involvement of lysophosphatidic acid-induced astrocyte activation underlying the maintenance of partial sciatic nerve injury-induced neuropathic pain. Ueda H, et al. Pain 159: (11):2170-2178, 2018. Reduced Microglial Activity and Enhanced Glutamate Transmission in the Basolateral Amygdala in Early CNS Autoimmunity. Acharjee S, et al. J Neurosci 38: (42):9019-9033, 2018. Fentanyl Induces Rapid Onset Hyperalgesic Priming: Type I at Peripheral and Type II at Central Nociceptor Terminals. Araldi D, et al. J Neurosci 38: (9):2226-2245, 2018. The Combinational Use of CRISPR/Cas9 and Targeted Toxin Technology Enables Efficient Isolation of Bi-Allelic Knockout Non-Human Mammalian Clones. Watanabe S, et al. Int J Mol Sci 19: (4):E1075, 2018. Summary: Results indicate that a combination of the CRISPR/Cas9 system and targeted toxin technology using IB4-SAP allows efficient enrichment of genome-edited clones, particularly bi-allelic KO clones. Dose: Cells were trypsinized 3 days after transfection and approximately 80% were incubated for 30 min at 37°C in a solution (25 mcL) containing 0.5–1.0 mcg IB4-SAP. CD44 Signaling Mediates High Molecular Weight Hyaluronan-Induced Antihyperalgesia. Ferrari LF, et al. J Neurosci 38: (2):308-321, 2018. Breathing regulation and blood gas homeostasis after near complete lesions of the retrotrapezoid nucleus in adult rats. Souza G, et al. J Physiol 596: (13):2521-2545, 2018. Modulation of chronic post-thoracotomy pain by NK-1 neurons in the rostral ventromedial medulla is not paralleled by changes spinal MAPKinase activation. Strichartz G, et al. J Pain 19: (3):S14, 2018. The Transient Intermediate Plexiform Layer, a Plexiform Layer-like Structure Temporarily Existing in the Inner Nuclear Layer in Developing Rat Retina. Park HW, et al. Exp Neurobiol 27: (1):28-33, 2018. 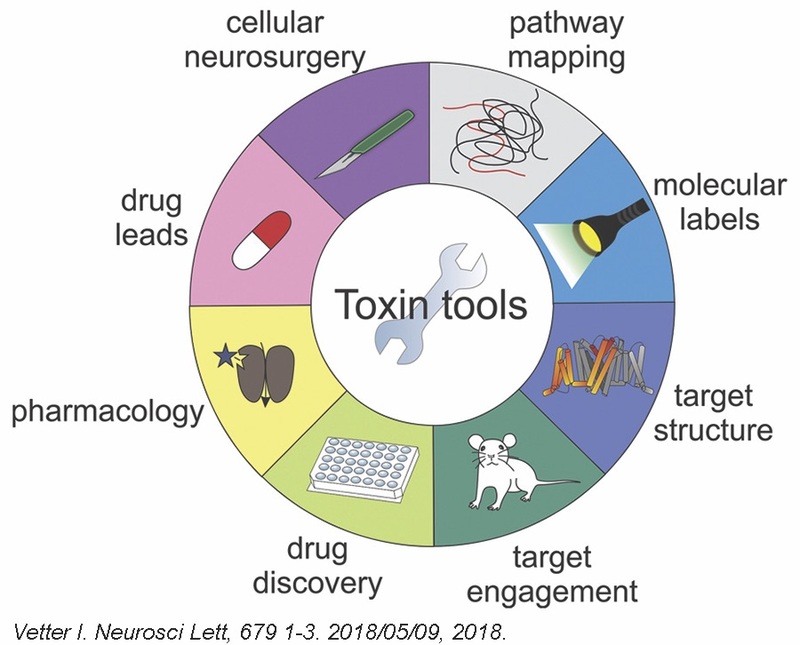 Toxins in Neurobiology: New tools from old molecules. Vetter I. Neurosci Lett, 679 1-3. 2018/05/09, 2018. Selective ablation of striatal striosomes produces the deregulation of dopamine nigrostriatal pathway. Shumilov K, et al. PLOS ONE 13: (8):e0203135, 2018. Neuroprotective effects on the morphology of somatic motoneurons following the death of neighboring motoneurons: A role for microglia? Chew C, et al. Dev Neurobiol Epub 14 Nov, 2018. Phrenic long-term facilitation following intrapleural CTB-SAP-induced respiratory motor neuron death. Nichols NL, et al. Respir Physiol Neurobiol 256: 43-49, 2018. Targeted Ablation of Distal Cerebrospinal Fluid-Contacting Nucleus Alleviates Renal Fibrosis in Chronic Kidney Disease. Qiu M, et al. Front Physiol 21 Nov, 2018. The Establishment of a CSF-Contacting Nucleus “Knockout” Model Animal. Song S-Y, et al. Front Neuroanat. 12: 22-32, 2018. Targeted ablation of cardiac sympathetic neurons improves ventricular electrical remodelling in a canine model of chronic myocardial infarction. Xiong L, et al. Europace 20: (12):2036-2044, 2018. Objective: To evaluate the cardiac electrophysiologic effects of targeted ablation of cardiac sympathetic neurons (TACSN) in a canine model of chronic myocardial infarction (MI). Summary: Targeted ablation of cardiac sympathetic neuron attenuates sympathetic remodelling and improves ventricular electrical remodelling in the chronic phase of MI. These data suggest that TACSN may be a novel approach to treating ventricular arrhythmias. Dose: 20 μl of CTB-SAP (1.2 mg/ml) was mixed with 4 μl of 3% Evans blue dye to make it visible (CTB-SAP is colorless), ensuring localization within the ganglia. The CTB-SAP/Evans blue dye solution was slowly and intermittently injected into the left stellate ganglia using a glass micropipette. Targeted ablation of cardiac sympathetic neurons attenuates adverse post-infarction remodeling and left ventricle dysfunction. Xiong L, et al. Exp Physiol 103: (9):1221-1229, 2018. Real‐time electrochemical monitoring of choline during systemic inflammation in the freely‐moving mouse. Doyle S, et al. Monitoring Molecules in Neuroscience, Conference, 2018. Removal of p75 Neurotrophin Receptor Expression from Cholinergic Basal Forebrain Neurons Reduces Amyloid-β Plaque Deposition and Cognitive Impairment in Aged APP/PS1 Mice. Qian L, et al. Mol Neurobiol Epub 29 Oct 2018. Objective: To investigate the contribution of CBF neuronal p75NTR to the progression of Alzheimer’s Disease. Summary: Data indicate that a direct interaction between CBF-expressed p75NTR and Aβ does not contribute significantly to the regulation of Aβ load. Dose: To lesion CBF neurons, a single infusion of mu p75-SAP or control Rabbit IgG-SAP (0.4 mg/ml) was stereotaxically-injected into the basal forebrain. Acute Down-regulation of BDNF Signaling Does Not Replicate Exacerbated Amyloid-β Levels and Cognitive Impairment Induced by Cholinergic Basal Forebrain Lesion. Turnbull MT, et al. Front Mol Neurosci 11: 51, 2018. Cholinergic modulation targeting medial prefrontal cortex leads to behavior deficit in interval timing task. Zhang Q, et al. (P5.195) Neurology 90: (15 Supplement), 2018. Depletion of Hypocretin/Orexin Neurons Increases Cell Proliferation in the Adult Subventricular Zone. Arias-Carrion O, et al. CNS Neurol Disord Drug Targets 17: (2):106-112, 2018. Orexinergic neurons are involved in the chemosensory control of breathing during the dark phase in a Parkinson’s disease model. Oliveira LM, et al. Exp Neurobiol 309: 107-118, 2018. Serotonin-specific lesions of the dorsal raphe disrupt maternal aggression and caregiving in postpartum rats. Holschbach MA, et al. Behav Brain Res 348: 53-64, 2018. Raphe Pallidus is Not Important to Central Chemoreception in a Rat Model of Parkinson’s Disease. Oliveira LM, et al. Neuroscience 369: 350-362, 2018. Macrophage migration inhibitory factor mediates peripheral nerve injury-induced hypersensitivity by curbing dopaminergic descending inhibition. Wang X, et al. Exper Mol Med 50: (2):e445, 2018. A Neural Circuit for Gut-Induced Reward. Han W, et al. Cell 175: (3):665-678, 2018. Early CALP2 expression and microglial activation are potential inducers of spinal IL-6 upregulation and bilateral pain following motor nerve injury. Chen SX, et al. J Neurochem 145: (2):154-169, 2018. Microglial pannexin-1 channel activation is a spinal determinant of joint pain. Mousseau M, et al. Sci Adv 4: (8):1-12, 2018. Tac1-Expressing Neurons in the Periaqueductal Gray Facilitate the Itch-Scratching Cycle via Descending Regulation. Gao Z-R, et al. Neuron 101: (1):45-59, 2018. Spinal Mechanisms of Itch Transmission. Barry DM, et al. Neurosci Bull 34: (1):156-164, 2018. DSCAM promotes self-avoidance in the developing mouse retina by masking the functions of cadherin superfamily members. Garrett AM, et al. Proc Natl Acad Sci 115: (43):E10216-E10224, 2018. Summary: Focus on DSCAM (Down syndrome cell adhesion molecule 1) self-avoidance function in the mouse retina. DSCAM and members of the cadherin superfamily have also emerged as key contributors to a variety of neurodevelopmental disorders, including autism, schizophrenia, bipolar disease, Down syndrome and intellectual disability. Immunotoxin-Induced Ablation of the Intrinsically Photosensitive Retinal Ganglion Cells in Rhesus Monkeys. Ostrin LA, et al. Front Neurol 9: 1000, 2018. Immunolesion of melanopsin neurons causes gonadal regression in Pekin drakes (Anas platyrhynchos domesticus). Potter H, et al. Gen Comp Endocrinol 256: 16-22, 2018. Indoleamine 2,3-dioxygenase-dependent expansion of T-regulatory cells maintains mucosal healing in ulcerative colitis. Acovic A, et al. Therap Adv Gastroenterol 11: 1-22, 2018. Circuit dissection of the role of somatostatin in itch and pain. Huang J, et al. Nature Neurosci 21: (5):707-716, 2018. An Agonistic Antibody to EPHA2 Exhibits Antitumor Effects on Human Melanoma Cells. Sakamoto A, et al. Anticancer Res 38: (6):3273-3282, 2018. Targeting of embryonic annexin A2 expressed on ovarian and breast cancer by the novel monoclonal antibody 2448. Cua S, et al. Oncotarget 9: (17):13206-13221, 2018. Conservation of oncofetal antigens on human embryonic stem cells enables discovery of monoclonal antibodies against cancer. Tan HL, et al. Sci Rep 8: (1):11608, 2018. Sequential Prodrug Strategy to Target and Eliminate ACPA-Selective Autoreactive B cells. Lelieveldt LPWM, et al. Mol Pharm Epub 26 Oct, 2018. Human anti-NKp46 antibody for studies of NKp46-dependent NK cell function and its applications for type 1 diabetes and cancer research. Berhani O, et al. Eur J Immunol Epub 7 Dec, 2018. Objective: To investigate human NKp46 activity and its critical role in Natural Killer (NK) cell biology. Summary: A unique anti-human NKp46 monoclocal antibody was developed and conjugated to Saporin. Targeted toxin inhibits growth of NKp46-positive cells; thus, exemplifying the potential as an immunotherapeutic drug to treat NKp46-dependent diseases, such as, type I diabetes and NK and T cell related malignancies. Dose: Conjugation of the antibodies to Saporin, treatment of cells, and cell viability assay Biotin-Z Kit instructions. Enhanced targeting of triple-negative breast carcinoma and malignant melanoma by photochemical internalization of CSPG4-targeting immunotoxins. Eng MS, et al. Photochem Photobiol Sci 17: (5):539-551, 2018. Antibody Drug Conjugates Targeted to CD45 or CD117 Enable Allogeneic Hematopoietic Stem Cell Transplantation in Animal Models. Palchaudhuri R, et al. ASH Annual Meeting, 2018. Synergistic Cytotoxic Effect on Gastric Combine Phage Antibody Display Library Selection on Patient Tissue Specimens with Laser Capture Microdissection to Identify Novel Human Antibodies Targeting Clinically Relevant Tumor Antigens. Su Y, et al. Methods Mol Biol 1701: 331-347, 2018. Cancer Cells of an Immunotoxin Cocktail in Which Antibodies Recognize Different Epitopes on CDH17. Kusano-Arai O, et al. Monoclon Antib Immunodiagn Immunother 37: (1):1-11, 2018. Characterization of the first fully human anti-TEM1 scFv in models of solid tumor imaging and immunotoxin-based therapy. Yuan X, et al. Cancer Immunol Immunother 67: (2):329-339, 2018. 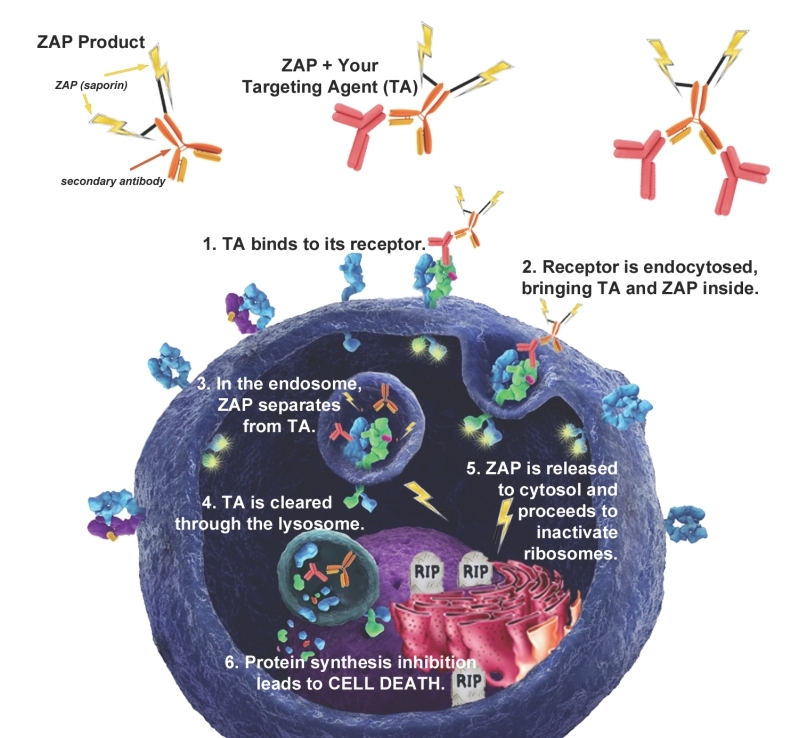 Development and evaluation of T-Zap: a novel antibody-drug conjugate for the treatment of Her2 positive breast cancer. Hoffmann RM, et al. AACR Ann Mtg 2018. 78: (13 Suppl):Abstract LB-001, 2018. Interaction between the retrotrapezoid nucleus and the parafacial respiratory group to regulate active expiration and sympathetic activity in rats. Zoccal DB, et al. Am J Physiol Lung Cell Mol Physiol Epub 7 Nov, 2018. Engineering elastic properties into an anti-TNFα monoclonal antibody. Sadhukhan R, et al. Cogent Biol 4: (1):1-19, 2018. Adalimumab:TNF complexes are cleared more efficiently by human osteoclasts than those with etanercept through FCG-receptor binding and internalization. Harvey BP, et al. Ann Rheum Dis 77: (Suppl 2):SAT0058 893, 2018. Immunohistochemical detection of prolactin-releasing peptide2 in the brain of the inshore hagfish Eptatretus burger. Amano M, et al. Gen Comp Endocrinol, 2018. In vitro examination of microglia-neuron crosstalk with BV2 cells, and primary cultures of glia and hypothalamic neurons. Tao X, et al. Heliyon 4: (8):e00730-e00730, 2018. Histological and morphofunctional parameters of the hypothalamic-pituitary-adrenal system are sensitive to daidzein treatment in the adult rat. Trifunovic S, et al. Acta Histochem 120: (2):129-135, 2018. Isolation of blood-brain barrier-crossing antibodies from a phage display library by competitive elution and their ability to penetrate the central nervous system. Thom G, et al. mAbs 10: (2):304-314, 2018. Non-canonical Ret signaling augments p75-mediated cell death in developing sympathetic neurons. Donnelly CR, et al. J Cell Biol 217: (9):327, 2018. Nicotinamide Mononucleotide Adenylyltransferase 2 maintains neuronal structural integrity through the maintenance of golgi structure. Pottorf T, et al. Neurochem Int 121: 86-97, 2018. Enteric Neurodegeneration is Mediated Through Independent Neuritic and Somal Mechanisms in Rotenone and MPP+ Toxicity. Virga DM, et al. Neurochem Res 43: (12):2288-2303, 2018. Myoepithelial Cells of Submucosal Glands Can Function as Reserve Stem Cells to Regenerate Airways after Injury. Tata A, et al. Cell Stem Cell 22: (5):668-683, 2018. Nitration and Glycation Turn Mature NGF into a Toxic Factor for Motor Neurons: A Role for p75NTR and RAGE Signaling in ALS. Kim MJ, et al. Antioxid Redox Signal 28: (18):1587-1602, 2018. Cell-Specific Transcriptome Analysis Shows That Adult Pillar and Deiters’ Cells Express Genes Encoding Machinery for Specializations of Cochlear Hair Cells. Liu H, et al. Front Mol Neurosci 11: 356-356, 2018. Regenerative effects of human embryonic stem cell-derived neural crest cells for treatment of peripheral nerve injury. Jones I, et al. J Tissue Eng Regen Med 1-11, 2018. Differentiation of adipose-derived stem cells into Schwann cell-like cells through intermittent induction: potential advantage of cellular transient memory function. Sun X, et al. Stem Cell Res Ther 9: (1):133, 2018. Neurotrophically Induced Mesenchymal Progenitor Cells Derived from Induced Pluripotent Stem Cells Enhance Neuritogenesis via Neurotrophin and Cytokine Production. Brick RM, et al. Stem Cells Transl Med 7: (1):45-58, 2018. The soluble form of LOTUS inhibits Nogo receptor-mediated signaling by interfering with the interaction between Nogo receptor type 1 and p75 neurotrophin receptor. Kawakami Y, et al. J Neurosci 38: (10):2589-2604, 2018. Induced pluripotent stem cells with NOTCH1 gene mutation show impaired differentiation into smooth muscle and endothelial cells: Implications for bicuspid aortic valve-related aortopathy. Jiao J, et al. J Thorac Cardiovasc Surg 156: (2):515-522, 2018. Directed differentiation of periocular mesenchyme from human embryonic stem cells. Lovatt M, et al. Differentiation 99: 62-69, 2018. Selective Laminin-Directed Differentiation of Human Induced Pluripotent Stem Cells into Distinct Ocular Lineages. Shibata S, et al. Cell Rep 25: (6):1668-1679, 2018. Extracellular Matrix from Periodontal Ligament Cells Could Induce the Differentiation of Induced Pluripotent Stem Cells to Periodontal Ligament Stem Cell-Like Cells. Hamano S, et al. Stem Cells Dev 27: (2):100-111, 2018. Eriobotrya japonica ameliorates cardiac hypertrophy in H9c2 cardiomyoblast and in spontaneously hypertensive rats. Chiang JT, et al. Environ Toxicol 33: (11):1113-1122, 2018. Selective abdominal venous congestion induces adverse renal and hepatic morphological and functional alterations despite a preserved cardiac function. Cops J, et al. Sci Rep 8: (1):17757, 2018. Nanoparticle-mediated delivery of Tanshinone IIA reduces adverse cardiac remodeling following myocardial infarctions in a mice model: role of NF-kappaB pathway. Mao S, et al. Artif Cells Nanomed Biotechnol 1-10, 2018. Developmental and degenerative cardiac defects in the Taiwanese mouse model of severe spinal muscular atrophy. Maxwell GK, et al. J Anat 232: (6):965-978, 2018. Erythropoietin alleviates post-resuscitation myocardial dysfunction in rats potentially through increasing the expression of angiotensin II receptor type 2 in myocardial tissues. Zhou H, et al. Mol Med Rep 17: (4):5184-5192, 2018. The Effect and Mechanism of Chinese Herbal Formula Sini Tang in Heart Failure after Myocardial Infarction in Rats. Zhu Y, et al. Evid Based Complement Alternat Med 5629342, 2018. Effect of Chronic Intermittent Hypoxia on Angiotensin II Receptors in the Central Nervous System. Morgan BJ, et al. Clin Exp Hypertens 41: (2):1-7, 2018. Expression of the intrarenal angiotensin receptor and the role of renin-angiotensin system inhibitors in IgA nephropathy. Zhang Z, et al. Mol Cell Biochem Epub 29 Aug, 2018. AT2R Activation Prevents Microglia Pro-inflammatory Activation in a NOX-Dependent Manner: Inhibition of PKC Activation and p47(phox) Phosphorylation by PP2A. Bhat SA, et al. Epub 3 Aug, 2018. The angiotensin II type 2 receptors protect renal tubule mitochondria in early stages of diabetes mellitus. Micakovic T, et al. Kidney Int 94: (5):937-950, 2018. Myocyte Enhancer Factor 2c Regulates Dendritic Complexity and Connectivity of Cerebellar Purkinje Cells. Kamath P, et al. Mol Neurobiol Epub 1 Oct, 2018. Allopregnanolone suppresses mechanical allodynia and internalization of neurokinin-1 receptors at the spinal dorsal horn in a rat postoperative pain model. Fujita M, et al. Korean J Pain 31: (1):10-15, 2018. Intersectional Strategies for Targeting Amacrine and Ganglion Cell Types in the Mouse Retina. Jo A, et al. Front Neural Circuits 12: 66, 2018. Combinatorial Effects of Alpha- and Gamma-Protocadherins on Neuronal Survival and Dendritic Self-Avoidance. Ing-Esteves S, et al. J Neurosci 38: (11):2713-2729, 2018. The M6 cell: A small-field bistratified photosensitive retinal ganglion cell. Quattrochi LE, et al. J Comp Neurol 527: (1):297-311, 2018. Synaptic circuits for irradiance coding by intrinsically photosensitive retinal ganglion cells. Sabbah S, et al. bioRxiv, 2018. The M5 Cell: A Color-Opponent Intrinsically Photosensitive Retinal Ganglion Cell. Stabio ME, et al. Neuron 97: (1):150-163, 2018. Retina-specific loss of lkbkap/Elp1 causes mitochondrial dysfunction that leads to selective retinal ganglion cell degeneration in a mouse model of familial dysautonomia. Ueki Y, et al. Dis Model Mech 11: (7), 2018. Differential roles for cryptochromes in the mammalian retinal clock. Wong JCY, et al. FASEB J 32: (8):4302-4314, 2018. Assembly of functionally antagonistic visual circuits for controlling pupil dynamics. Dhande O, et al. Cell Rep Epub 19 Dec, 2018. Melanopsin expression in the cornea. Delwig A, et al. Vis Neurosci 35: (E004), 2018. Melanopsin retinal ganglion cells are not labeled in Thy-1YFP-16 transgenic mice. Grillo SL, et al. Neuroreport 29: (2):118-122, 2018. Single Quantum Dot Tracking Reveals Serotonin Transporter Diffusion Dynamics are Correlated with Cholesterol-Sensitive Threonine 276 Phosphorylation Status in Primary Midbrain Neurons. Bailey DM, et al. ACS Chem Neurosci 9: (11):2534-2541, 2018. Adult skin-derived precursor Schwann cell grafts form growths in the injured spinal cord of Fischer rats. May Z, et al. Biomed Mater 13: (3):034101, 2018. Leveraging Siglec-8 endocytic mechanisms to kill human eosinophils and malignant mast cells. O’Sullivan JA, et al. J Allergy Clin Immunol 141: (5):1774-1785, 2018. Summary: Therapeutic payloads can be targeted selectively to eosinophils and malignant mast cells by exploiting this Siglec-8 endocytic pathway. Dose: Eosinophil cell death was assessed with 2C4 mAb or isotype control (both at 2.5 μg/mL). 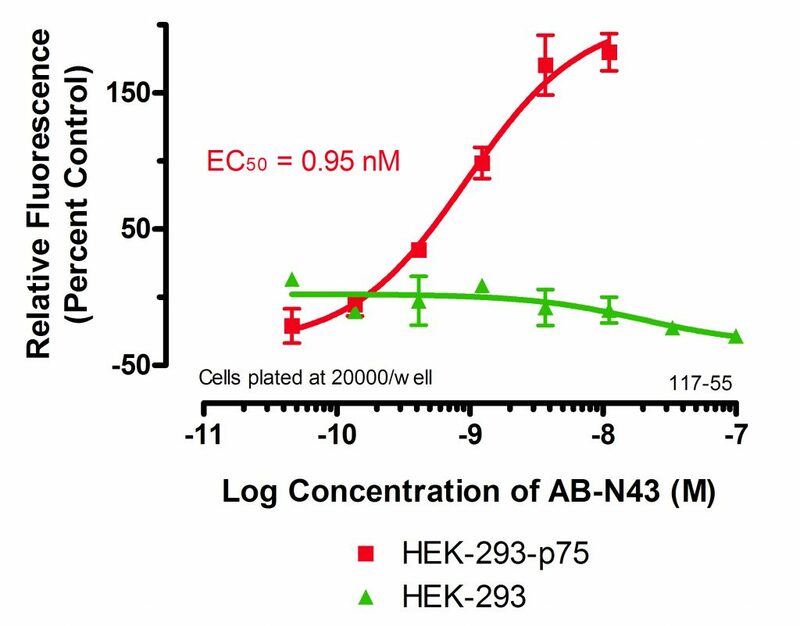 Targeting of embryonic annexin A2 expressed on ovarian and breast cancer by the novel monoclonal antibody 2448. Cua S, et al. Oncotarget, 9 (17):13206-13221, 2018. Summary: The novel IgG1, 2448, was shown to target a unique glycosylated surface epitope on ANXA2. As a possible therapeutic candidate for ovarian and breast cancer, 2448 demonstrated anti-tumor activity. Dose: A Custom ADC was created by direct conjugation of Saporin to ch2448. As a control, an isotype chimeric IgG was also conjugated to saporin (IgG-SAP). Compared to using Secondary Saporin conjugates, ch2448-SAP induced an increase of 20–30% cytotoxicity. 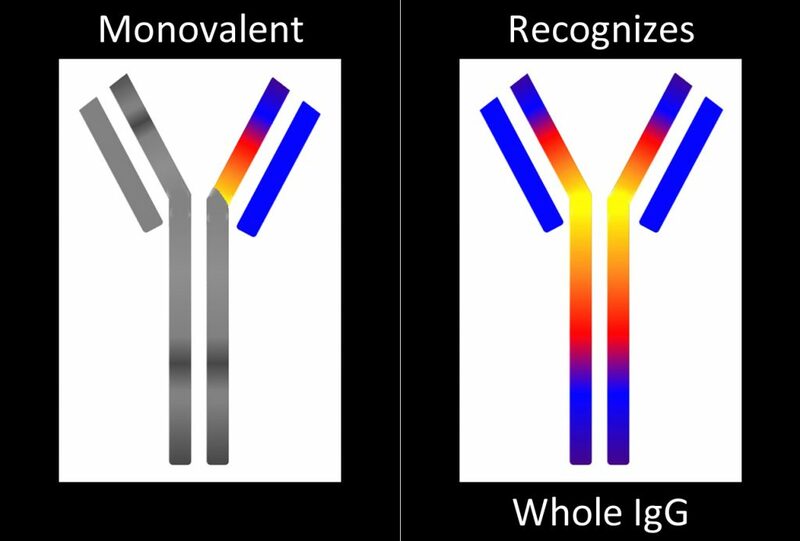 The fastest tools for quantitative testing of your primary antibody’s specificity, binding, and internalization, providing results in 1 day. Fab-pHast products bind to your primary antibody via a secondary antibody cross-linked to a pH-dependent fluorescent reporter. This fluorescent reporter increases intensity as the pH of its surroundings becomes more acidic, as evident when exposed to the environment inside a cell. SLC46A3 as a Potential Predictive Biomarker for Antibody-Drug Conjugates Bearing Noncleavable Linked Maytansinoid and Pyrrolobenzodiazepine Warheads. Kinneer K, et al. Clin Cancer Res, 24 (24):6570-6582, 2018. Objective: To develop biomarkers to uncover the underlying mechanism of resistance by certain cell lines for ADCs. Summary: Loss of SLC46A3 expression was found to be a mechanism of innate and acquired resistance to ADCs bearing DM1 and SG3376. Dose: For Lysosomal trafficking, ADCs were labeled with Fab-pHast human. Cells were incubated with 3 mg/mL of labeled ADCs at 37°C for desired time points and fluorescence quantified by flow cytometry. Parental HEK-293 cells, and HEK-293 cells transfected with the p75 receptor, were plated in a 96-well plate overnight. Titrated 192-IgG antibody (Cat. #AB-N43) was incubated at RT with 50 nM of Fab-pHast Mouse (Cat. #PH-02) for 20 min prior to addition to cells. Plates were incubated overnight to allow maximum internalization, but a few hours is sufficient for detection. ← The 2018 Poster of the Year Award Goes To . . .